US 70 Across the Blue River, Bryan Co. 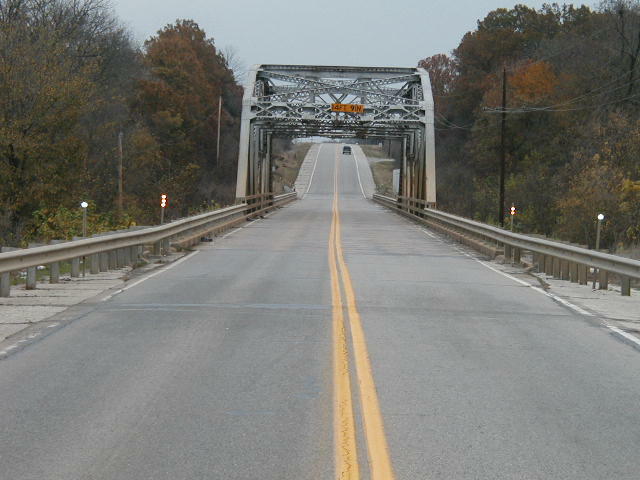 Built in 1938, this 140' K-truss bridge was built to carry US 70 across the Blue River east of Durant. 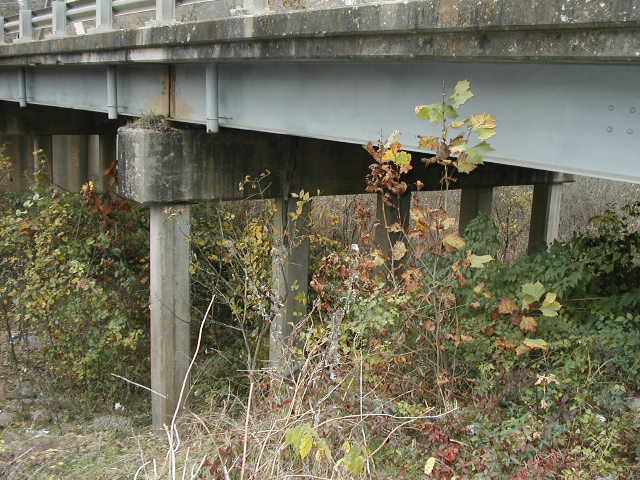 This bridge is located about a mile north of the Old US 70 Blue River bridge. Above, a straight shot thru the bridge. The original concrete guards on the approaches have been replaced with newer steel guards. Below, another view of the bridge. The portals have been struck many times. Surprisingly, they have not been replaced. 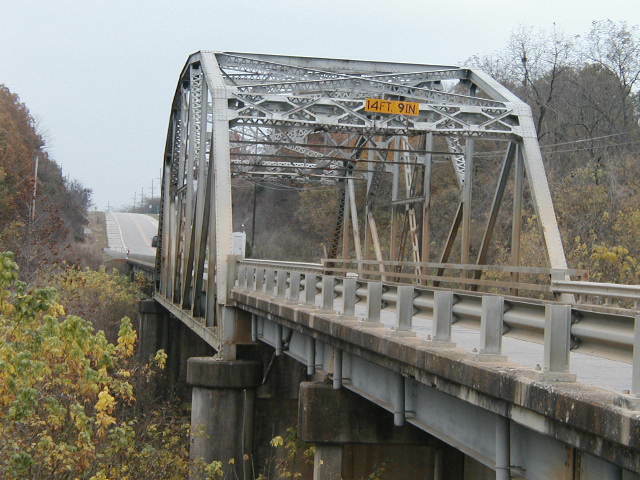 This particular design bridge was the shortest of the K-truss variety built in Oklahoma. Below, another common detail on truss bridge approaches is to use concrete piles as show here.